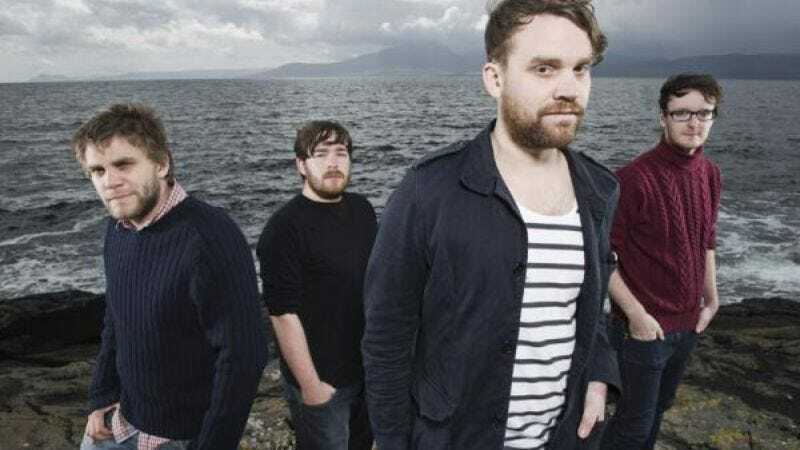 Frightened Rabbit, a band well loved by cognoscenti both inside and outside The A.V. Club, will release a new EP later this month, to be followed by a full-length sometime next year. You might remember the band from singer Scott Hutchison's appearance on A.V. Undercover, or from our declaration that their last disc was the 11th best of 2010. Here are a couple of teases from the EP, which is called State Hospital. The first is a stripped-down version of "Boxing Night," which is very sad. The second is a live version of the EP's title track, which is also very sad. Access your emotions and enjoy, or something.